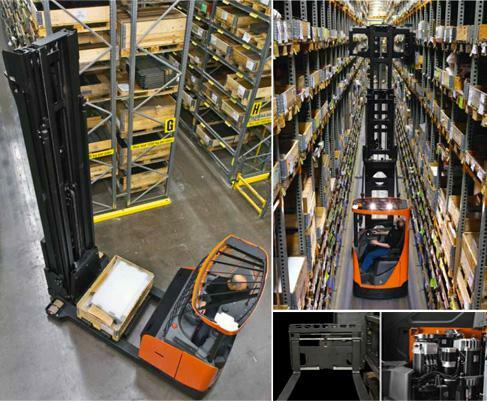 Based on the BT Reflex reach trucks, the BT Vector R-series has been optimised for man-down operations in very narrow aisles. Two truck models offer turret head operation for greater flexibility, whilst the version with shuttle forks allows operation in the narrowest of aisles for maximum use of space. These narrow trucks have a load capacity ranging from 1.25 to 1.5 tonnes and lift heights up to 11.3 metres. The BT Vector R-series is designed for wire or rail guidance, allowing fast, but safe working in very narrow aisles and comes with BT Optipace, to optimise drive and lift speed, height and load weight. 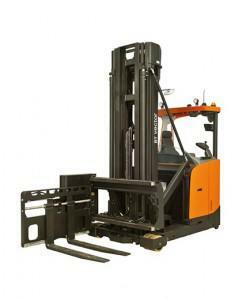 All three models within the BT Vector R-series are designed for man-down operations in very narrow aisles. The VRE125 and VRE150 both have a turret head load handler, whereas the VRE125SF has shuttle forks for working in the narrowest of aisles. With a load capacity ranging from 1.25 to 1.5 tonnes, and lift heights up to 11.3 metres, these narrow aisle trucks come with Transitional Lift Control (TLC) for smooth load lifting and lowering at maximum speed. 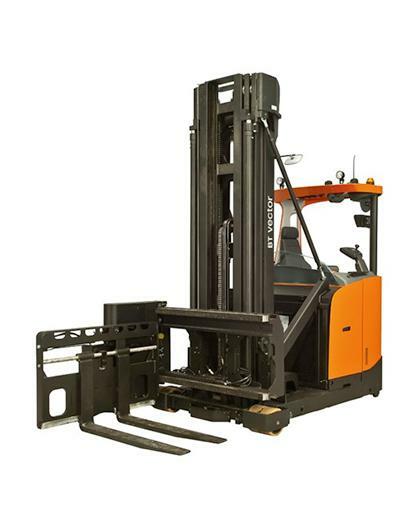 Forklift operation is made safer by excellent all-round visibility, and protective cab and overhead guard.